One of the things that bugs me about this truck was the ambient outside temperate gauge being tied to a HD radio station through the Entune Audio system. Really dumb in my opinion. It would literally tell me the temperature of a city 30 miles away!!! This needed a desperate fix. I came close to installing a very simple temp gauge for only a few bucks. 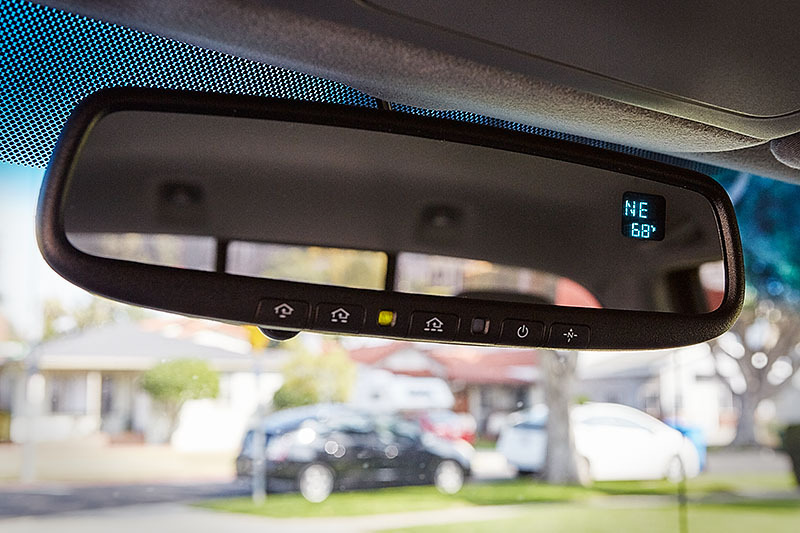 However, I came across a post on Tacoma World that Bob’s Automotive Mirrors had a rear view mirror with autodim, compass, temp gauge, and Homelink. Furthermore, it came with the correct connector to tie into the existing wiring harness. Brilliant!!! I was sold.